Roofline offer independent, impartial advice to main contractors, building owners, specifier’s and building management organisations for a range of core services that include: Structural waterproofing (hot melt and cold applied), flat roofing (synthetic single ply, bituminous and liquid membranes), green roofing, metal sheeting/decking, roof glazing/rooflights, metal fascias, soffits and cappings and much more, providing a total waterproofing solution under one single point of responsibility. From our head office in Hampshire, we offer a national major works and local regional works service ranging from approx £10,000 to £3 million in project value to our clients. Roofline recognise the importance of taking in to account design concept, longevity, whole life cost, aesthetics, sustainability and environmental issues to ensure the roofing or waterproofing solution is fit for purpose at best value. 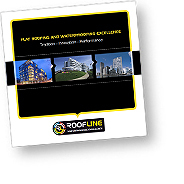 Roofline have a long and successful history working with the UK’s leading main contractors in the construction industry as well as acting as principle contractor for local authorities and management companies and have delivered total waterproofing solutions to thousands of buildings throughout the UK, on time and within budget. Sustainability, social responsibility and the environment are at the forefront of our Innovative approach to construction methods and we have a proven track record of delivering BREEAM rated projects. 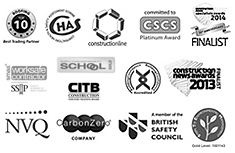 Our ethos is to provide high quality labour and materials through a strong supply chain, to be honest and transparent with our clients, to provide lower costs without compromise, to minimise environmental impact, to add value to any project and to show integrity and an ethical approach to everything we do.